Collaborating with Universal Pictures and AFC, we helped plan, shoot and edit a 120” online content spot called ‘The Grinch Stole Christmas’. We filmed some of the first team players at their training ground in multiple scene setups. 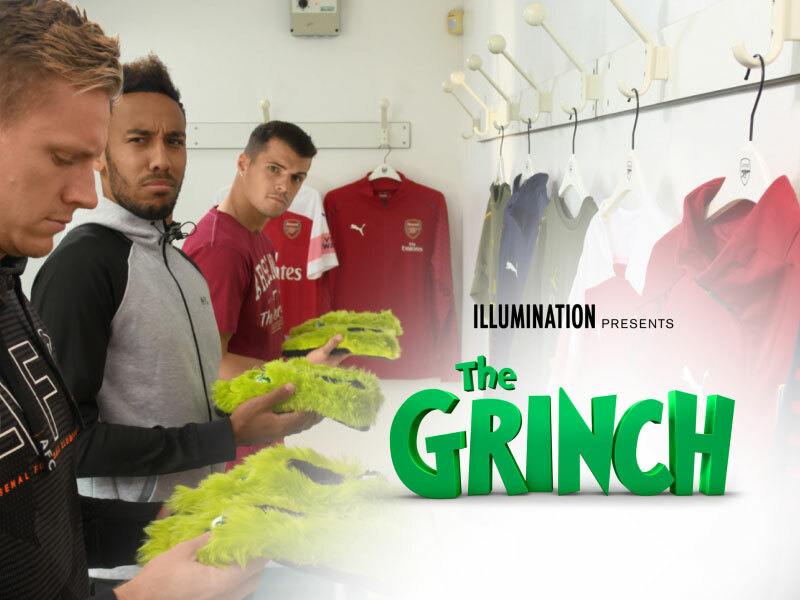 With special effects, and post production magic, we were able to add The Grinch causing mischief by swapping out footballs, benches and boots with humorous consequences. Cutdowns and teasers were placed on social platforms with 1m+ combined social views on AFC platforms in the first two weeks of launching.